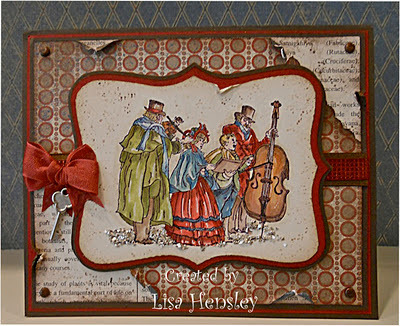 This is my first card using A Christmas Carol from the new SU! catalog. I knew that this image begged to be watercolored, but I hadn't realized how difficult it would be to separate out all the clothing! Things to know: The "snow" is Silver glass glitter -- I like the chunkiness and vintage color against this image. 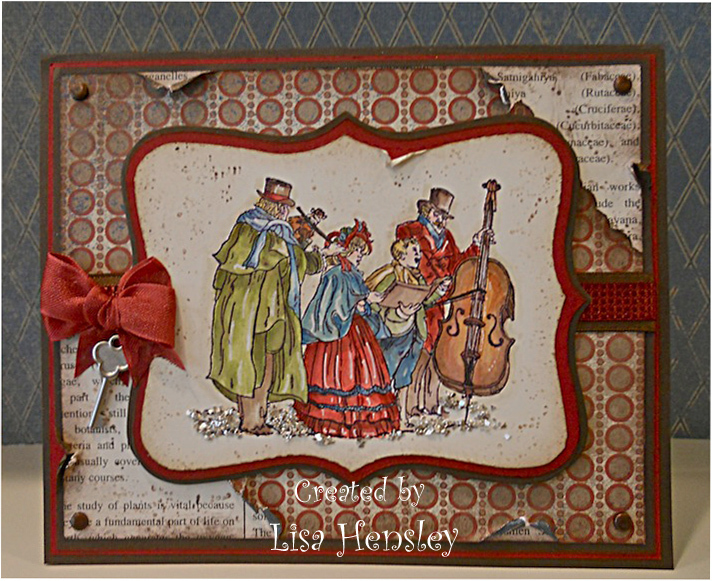 The dsp isn't holiday paper, but I like the vintage wallpaper looks that it gives the finished product. The spatter stamp from Itty Bitty Backgrounds (what? is that really retired??) in Creamy Caramel, Close to Cocoa and Chocolate Chip adds some texture. And don't forget your white gel pen to pull out those highlights. Wow Lisa, this is absolutely gorgeous. You are an expert in watercoloring.